A host of fantastic microbreweries has opened across the country, offering unique and whimsical craft beer flavours even Homer Simpson would approve of. With more to sample than ever before, these Sydney microbreweries believe they can turn beer-haters into avid beer-adorers. Calling all beer nerds! Sauce Brewing Co is here to satisfy your beer cravings one tinny at a time. For those who thought beer could only be classified as light, dark, strong or light, prepare to be amazed. Hop Sauce (the brewery’s flagship Pale Ale), is described as a ‘lovely golden colour, citrusy, with hints of tropical and stone fruits.’ You could almost confuse the description with that of a cake or fruit salad. 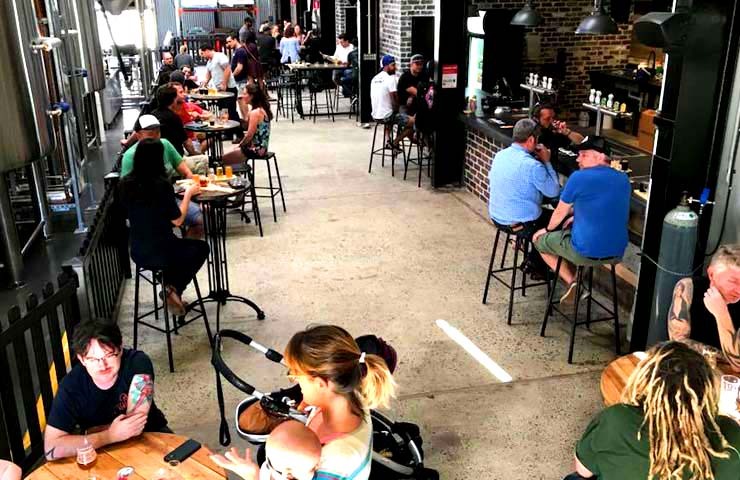 Along with tap-only specialty batches such as 50 Shades of Black – Saucy Stout and Piss-Weak Sauce – Session IPA, this Marrickville microbrewery will be sure to tickle your tastebuds. Take a load off in the beer garden, crack open a can, and revel in the awesomeness of beer. This location is a wee bit special. 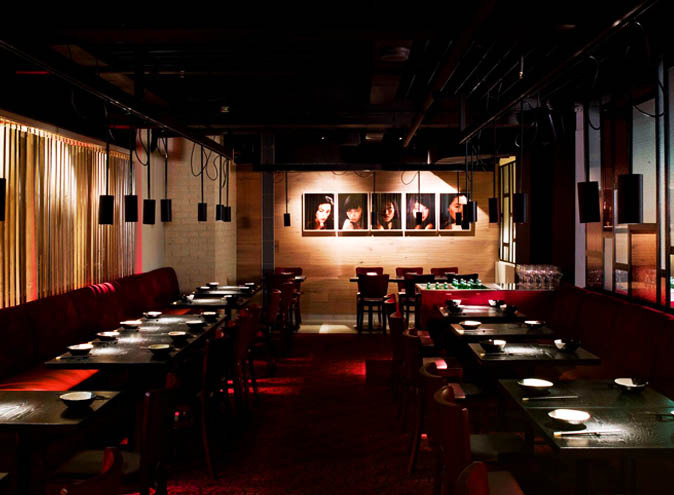 The bar resides in an industrial warehouse with wonderful high ceilings and exposed brick as far as the eye can see. A magnificent billiard table is the cherry on top of this unique inner-west brewery, attracting beer-lovers from all over. However, it’s not the décor that’ll get you hooked. 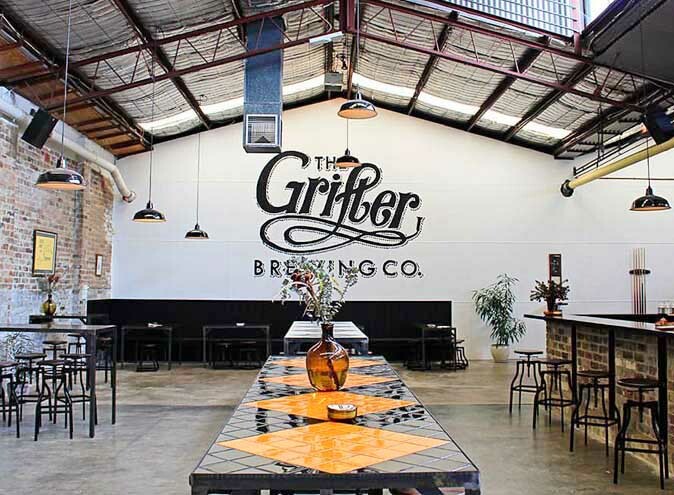 The flavours on offer at The Grifter Brewing Co really set it apart from its competitors. Pomegranate Ale, Coffee Cream Ale, Oatmeal Stout and Watermelon Pilsener are just some of the bizarre and trendy options on tap at the venue. The combinations will interest, shock and at the very least pique your beer-loving interests. Gather a group of brave comrades and sample the strange and unknown (you just might love it). For those wanting to go somewhere that exudes warmth, charm and friendliness, Staves Brewery is the right place for you. Inside, oak-barrel tables, concrete floors and a timber bar are combined to create a comfortable beer-drinking ambience. Outside, the courtyard features wooden benches and tables, as well as AstroTurf for those homey backyard drinking vibes. 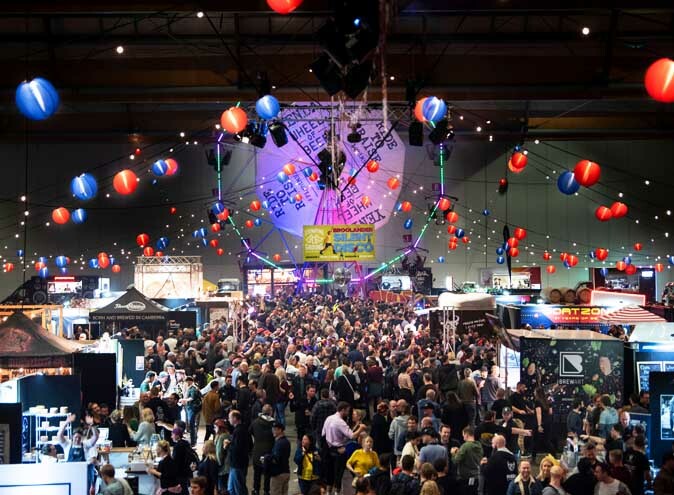 Along with a core range of its own creations (such as the nuanced and flavoursome Ardennes Table Beer), the venue reserves a couple of taps for guest beers from other Sydney breweries (beer is basically the answer to world peace). 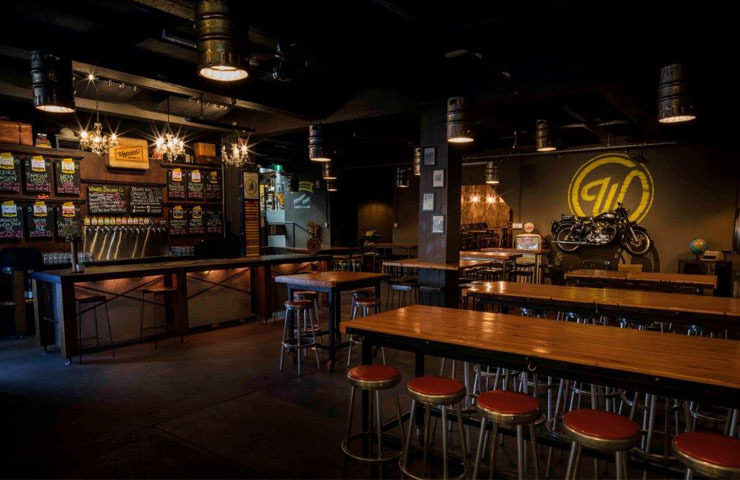 Get your craft beer on and head on over to Glebe’s rustic, popular drinking place. The team at this Camperdown venue treat brewing like Leonardo Da Vinci treated art; it’s a sacred tradition. 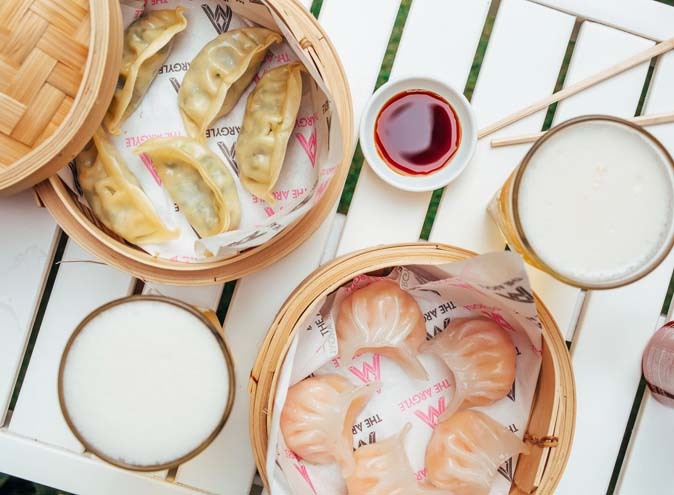 Ingredients are sourced from all over the world (only natural ingredients are used, which means it’s preservative free, unpasteurised and unfiltered) and nothing is rushed. The beer may take a little longer to produce using this process, but Wayward Brewing Co is all about quality, not quantity. Their core range includes fun numbers such as the Keller Instinct Bavarian Lager, Sourpuss Raspberry Berliner Weisse, Oatis India Pale Ale and the Charmer India Red Ale. The 24-tap bar has a vintage interior and a maze of rooms to explore and enjoy. To put it simply, beer isn’t a beverage, it’s a full experience. Treat yo’self this weekend to a cold, crisp bevvy (crafted with love). All Hands Brewing House (AHBH) does not beat around the bush when it comes to beer. 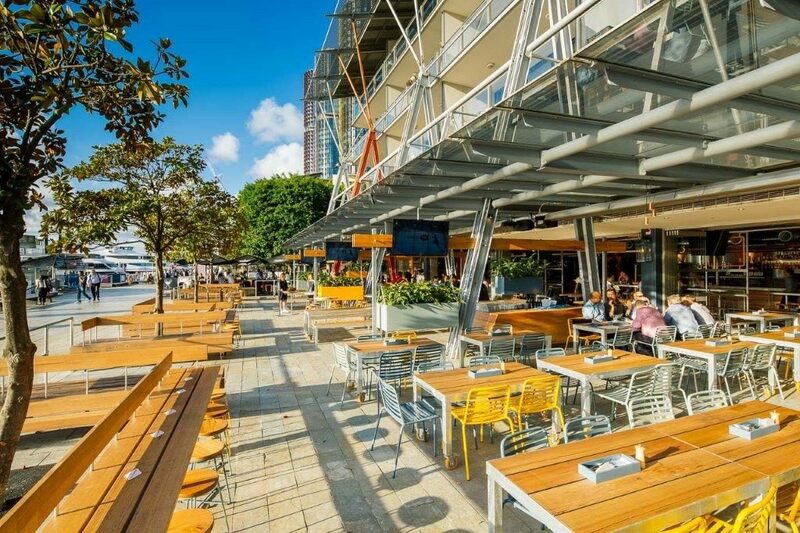 Located on the iconic Darling Harbour waterfront (hello sweet views), the Sydney brewery crafts everything in-house for a superior, mouth-watering flavour. AHBH’s Irish Sport Stout, described as being served with ‘nitrogen gas for an authentic thick head and smooth sailing through a pint’ (science experiment or beverage?) is one of many specialty beers on offer. 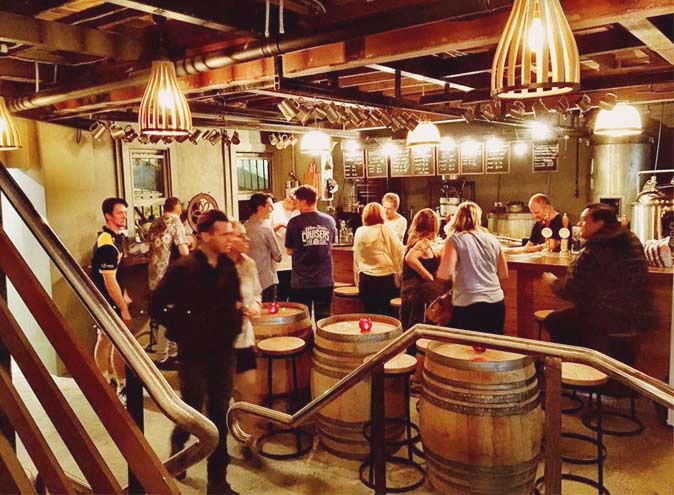 For an extra special and authentic beer-devouring experience, the waterfront taphouse has integrated sections of the brewery within its venue; fermentation tanks and pipes are visible to the public and really freaking awesome to look at. 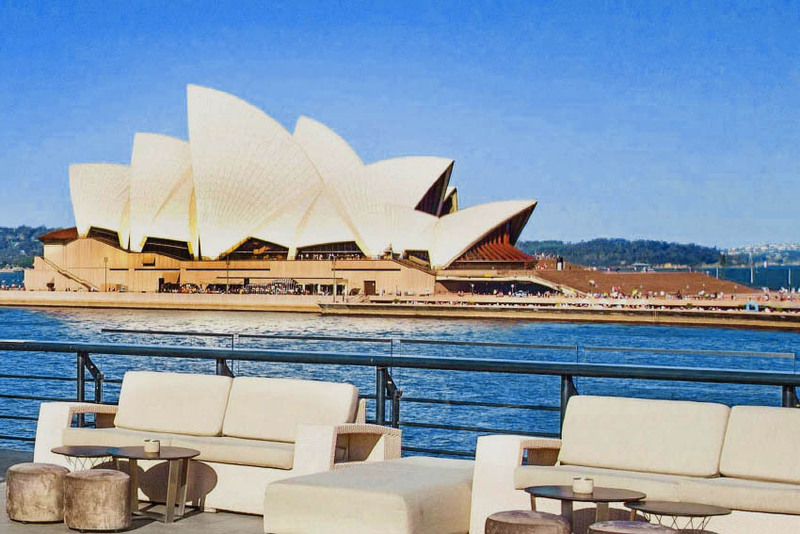 A fresh brew + breathtaking view = we are already there.